The frame "Line supports" contains a table with the list of input line supports. 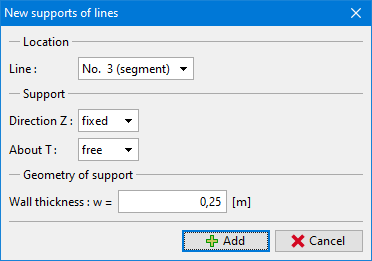 Adding line supports is performed in the "New supports of lines" dialog window. The input line supports can also be edited on the desktop with the help of active objects. 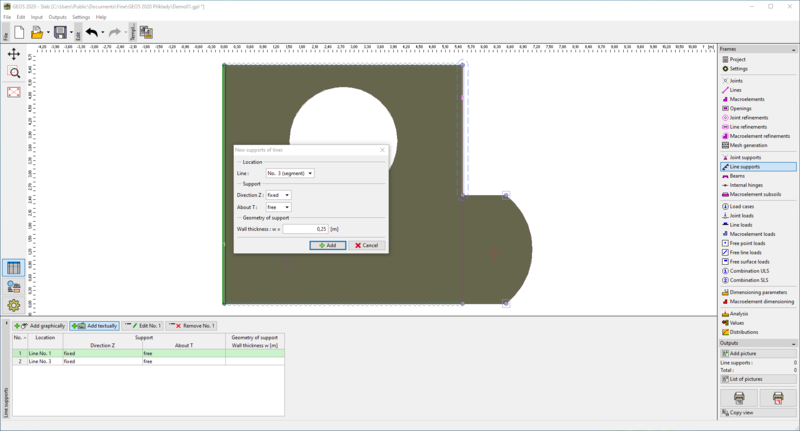 In the case of reduction of dimensioning moments, support geometry can be entered (frame "Settings"). Enter the wall thickness w, the circular area is considered at the end of the wall. Dialog window "New supports of lines"